What do you do when things you have been waiting on to transpire, seems to be at a standstill? What do you do when it seems your prayers are not being answered? Feelings of rejection begin to fill your soul and your heart becomes weighted under the pressure. What do you do when you don’t know what else to do? Everyone is offering advice and words of encouragement, but nothing they say speaks to that void on the inside of you. You feel as though you are spiraling out of control into a great sea of despair. You feel as though you are hanging on by a thread and one little push could push you over the brink. Look up! Don’t despair. Even when things look like it cannot get any better, there is always a ray of sunshine, a glimpse of hope. The Word of God lets us know that the Lord is a very present help in the time of trouble. It is in times like these we have to reach for that hand that is extended to us. 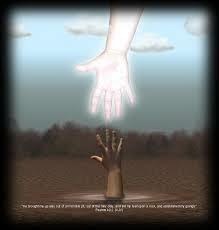 I love Psalm 18:16 (NLT) He reached down from heaven and rescued me; he drew me out of deep waters. The Lord used this scripture to let me know that He indeed was aware of me. He rescued me because He delighted in me (Psalm 18:19). Today, I offer that same comfort to you. Father, I speak peace right now to every heart that is in chaos. I pray that your peace will guard their hearts and minds today. Let them experience that peace that surpasses all their understanding. 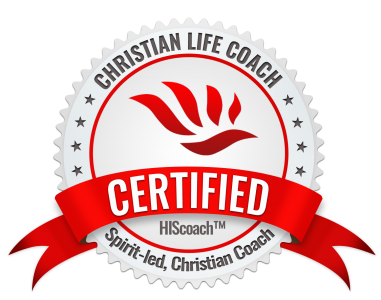 I speak healing to the hearts that are broken and torn beyond repair. Your word declares that you are near to those that are of a broken heart and you heal our brokenness and bind up our wounds. Minister healing today I pray as only you can. Wrap them in your love; reassure them that you are in their corner and you will never leave them without help and support. Open the eyes of their understanding. Thank you for drawing them out of the miry clay and setting their feet on solid ground. Guide them in your truth and faithfulness In Jesus name Amen. Next Post Your Dreams Don’t Have to Die!